We are Metal Finishing Experts! A&B Deburring offers the most complete job shop anywhere, with the capabilities to manage your most challenging parts project. Our state-of-the-art equipment and processing capabilities include a vast array of metal finishing services to meet the exact standards set by our customers. We are continuously improving and adding capabilities to satisfy our customers needs. Our skilled technicians are continually trained in the latest techniques and advancements including process improvements in material handling, equipment advances, and new technologies. 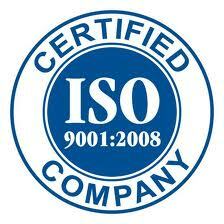 All services are ISO9001-2000 Registration compliant. 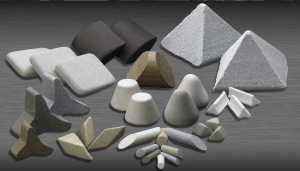 Many manufacturers rely on our company for their surface preparation and metal finishing requirements, whether it is handling the complete project or just filling in when deadlines are close or it exceeds their current capacity. 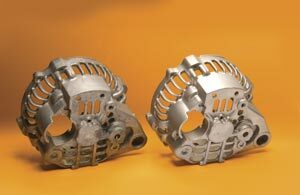 You can count on our job shop to deliver quick, reliable and cost-effective options for your parts processing needs. Call today for a free estimate or to discuss your project. We offer free samples processing and there are no set-up fees. 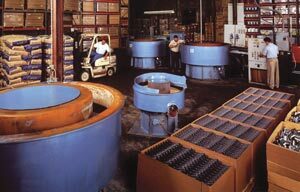 Parts Washing – Regardless of your cleaning requirements, A&B Deburring Co. can help. 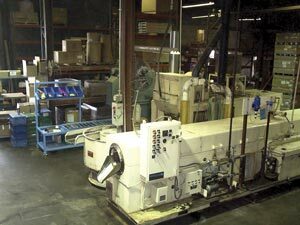 We have various washer lines that include conveyor belts, rotary drums, and spray cabinets. In addition, we also offer ultrasonic cleaning. 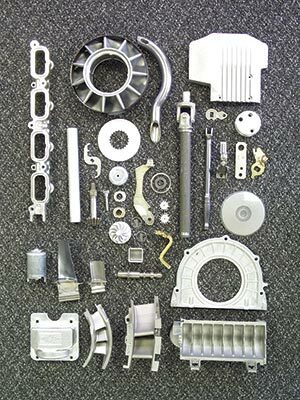 Blast Cleaning – Everyday, our company blasts a wide range of parts for the automotive, appliance, medical, and aerospace industries. 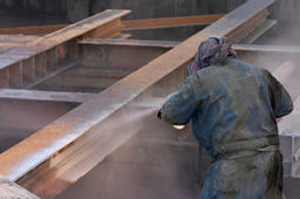 We have the equipment to impart coarse finishes to fine finishes, and everything in between. Deburring – The removing of ragged edges or protrusions created during the manufacturing of a part. The raised particles and shavings that appear when metal blanks are machined are referred to as burrs, and the process by which they are removed is known as deburring. Burnishing – This process creates a shiny, highly reflective surface on the part. A bi-product of this process is an increase in the surface density which can increase corrosion resistance. Derusting – Acidic or alkaline compounds are integral to the removal of scale, rust and oxides from heat treatment processes. Surface Improvement – Many finishes require a special surface to be effective. We can achieve the surface you need prior to painting, coating, or otherwise finishing your parts. Surface Profiling – We can achieve an surface finish or texture you need using the best processing techniques. We are ISO9001:2008 certified and are pleased to offer our knowledgeable and efficient service to manufacturers seeking cost-effective finishing solutions.